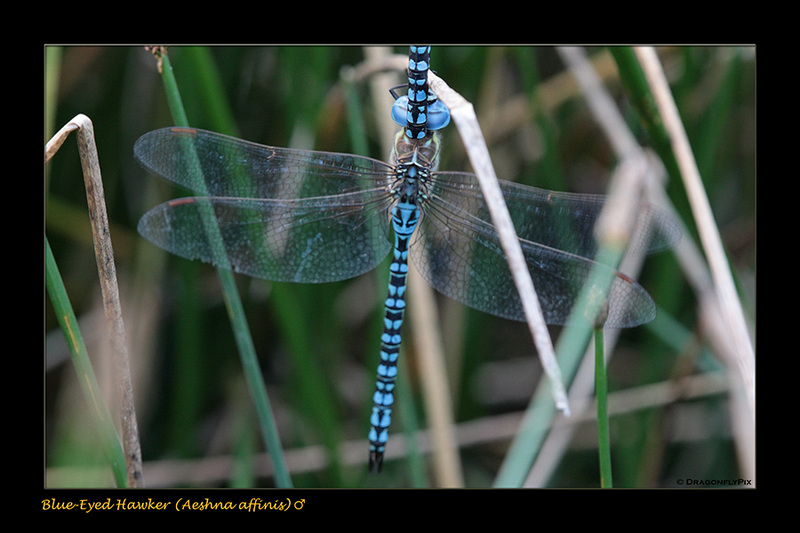 Another species which is very numerous at that same site is the Blue-Eyed Hawker (Aeshna affinis). We've been visiting this site regularly for the past four years but it was only this year that we managed for the first time to photograph an androchrome female. So when we first saw the scene in this particular photograph (made in July 2010), we thought we had found another such male-coloured female. But on closer inspection we noticed that the animal held in tandem was not a female at all; he was a male and he'd probably been mistaken for a female by one of the very many overly excited (and overzealous) other males at the site.